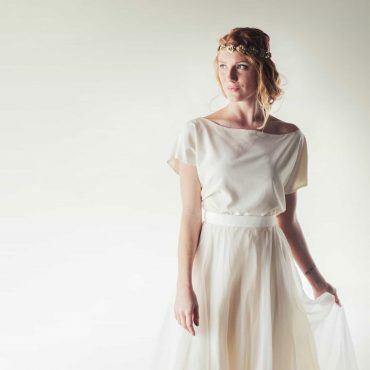 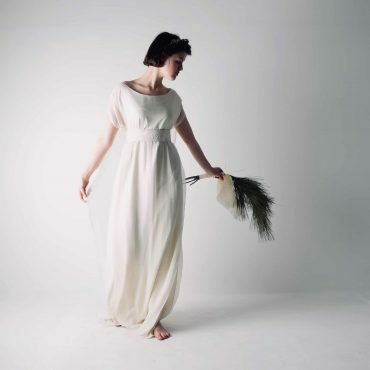 This elegant gown is romantic and effortless, flowing lightly around your body with a classic yet modern feel. 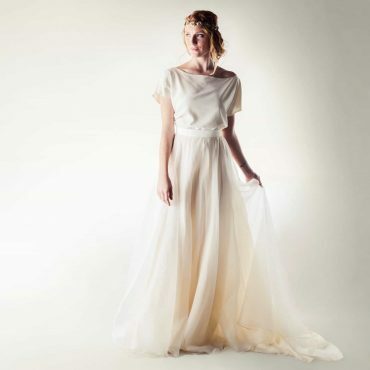 The fully boned bodice finishes at the natural waist and is made with smooth opaque silk. 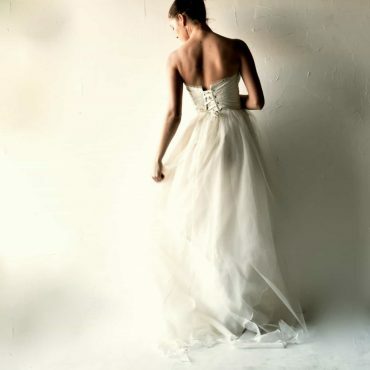 It closes with a neat corset and a bow at the small of your back. 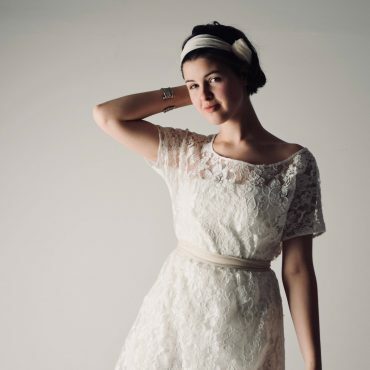 It has very thin silk spaghetti straps, and a cotton lace trimming along the neckline. 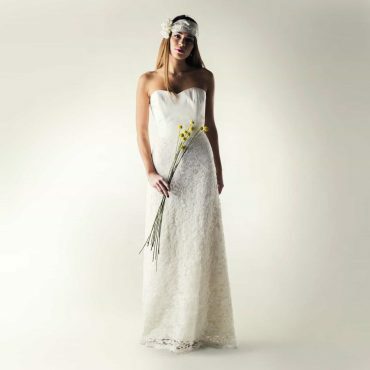 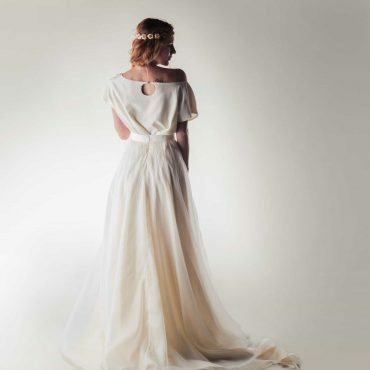 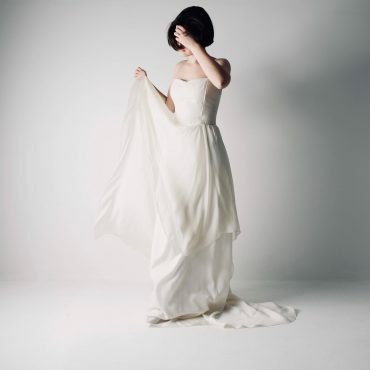 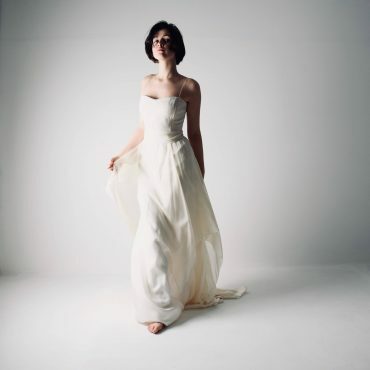 The flowing skirt is made of high quality silks and asymmetrically draped: the top layer is smooth and light organza, cut so it floats beautifully around your body with a luminous, pearly white hue. 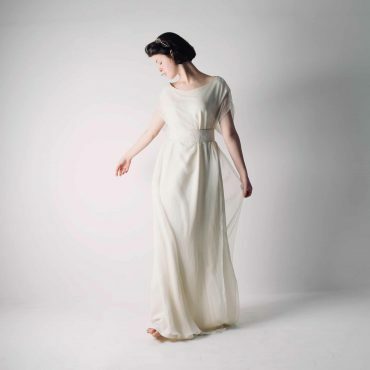 The middle layer is a lovely silk chiffon, and the bottom layer is an opaque habutai silk lining in light ivory. 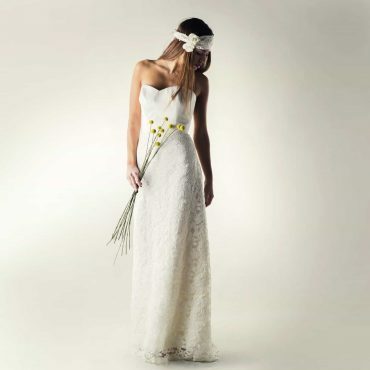 The delicate lace sash featured is included. 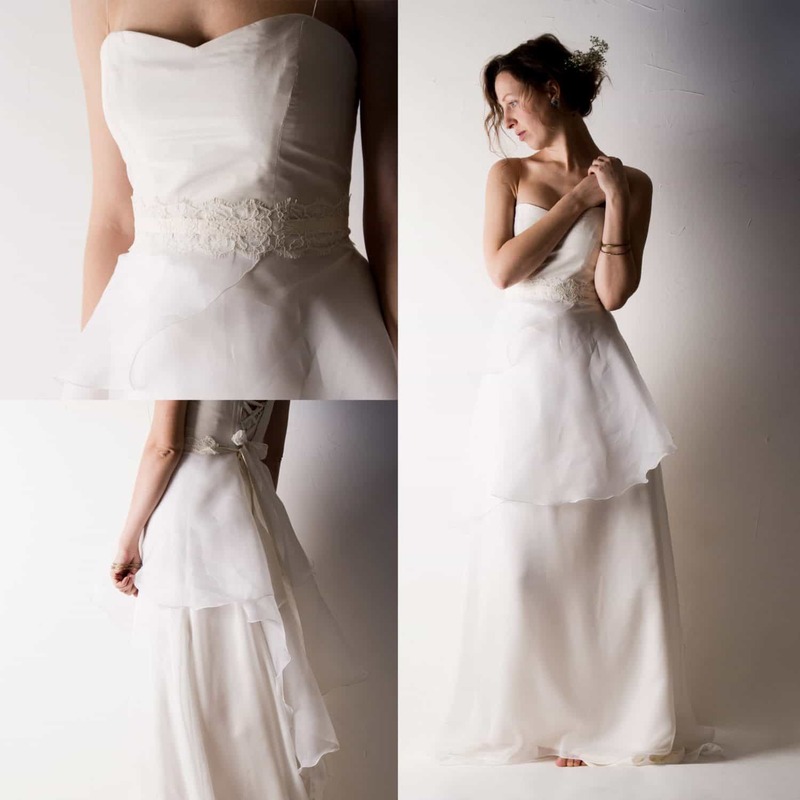 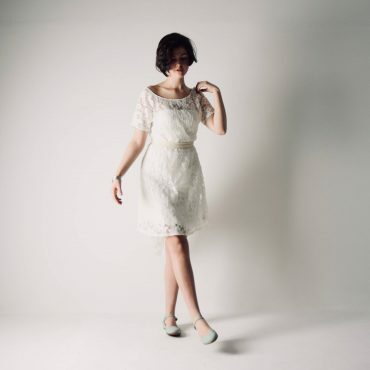 If worn without, the skirt attaches to the bodice directly, in a straight, essential line. 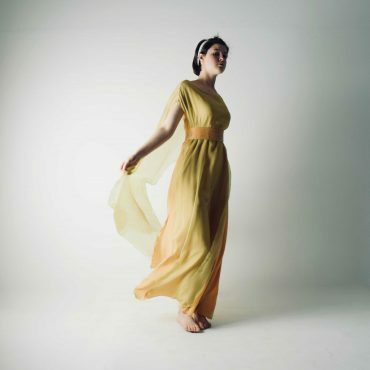 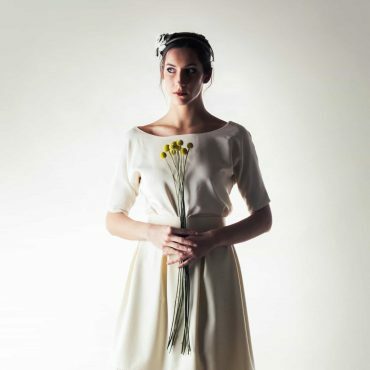 100% silk dress, vintage hand-woven hemp bodice.